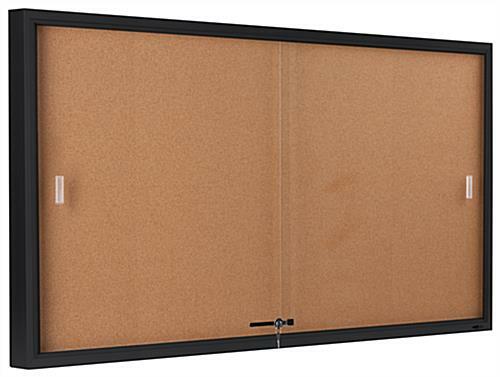 60" x 36" Tackboard constructed with tempered sliding glass doors. 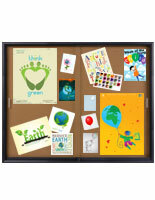 Aluminum frame with black finish for durability. 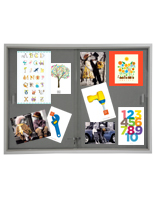 Ideal for high traffic locations such as schools and offices. 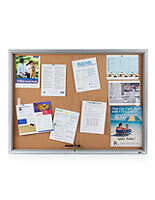 Enclosed bulletin boards are a great communication tool for schools, community centers, libraries, and offices. 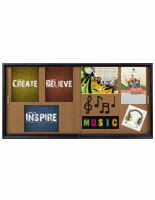 Each display case features a large interior space that is 60” by 36”. 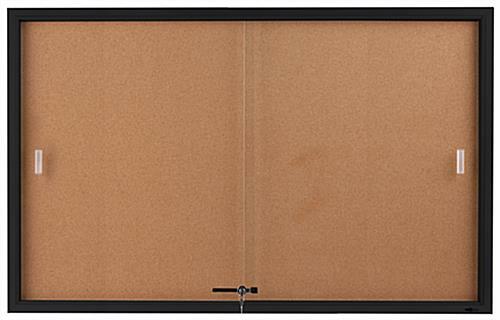 The 5’ by 3’ enclosed bulletin boards, with black aluminum frame, will complement a range of environments. 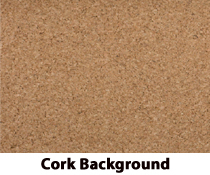 The cork unit is highly durable for long-lasting use. 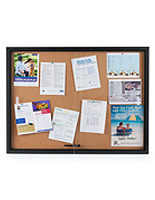 All enclosed bulletin boards that are display cases, have a self-healing backing. 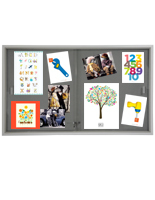 The communication tool can be used with push pins, tacks, and staples. 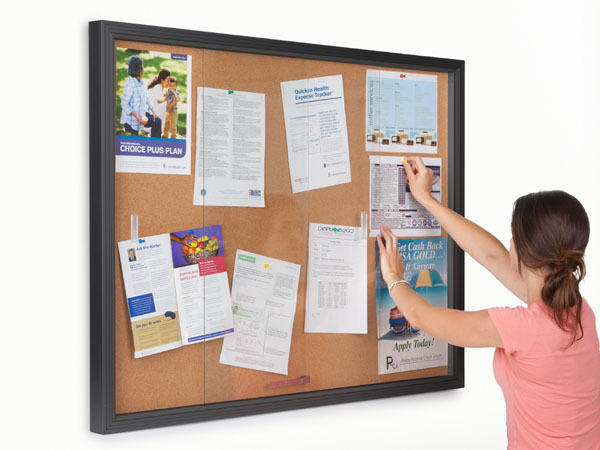 The enclosed bulletin boards, with cork, give users plenty of area to post everything from posters to memos to directories. 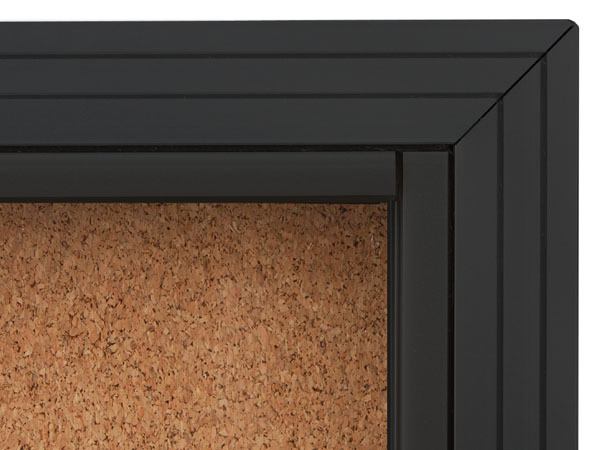 The black aluminum frame paired with natural color surface creates an attractive unit. 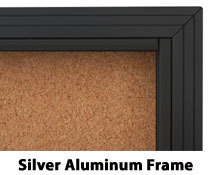 All enclosed bulletin boards, that are aluminum, cork, and tempered glass are both affordable and functional. 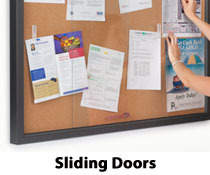 The sliding doors are designed for ease use. 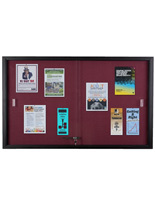 These enclosed bulletin boards that are constructed with sliding doors are high quality tempered glass. 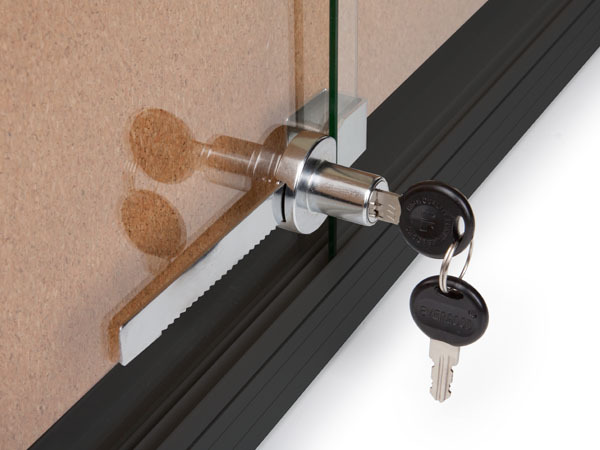 Each display case has a locking mechanism. 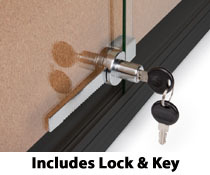 The cork unit can be locked for secure use. 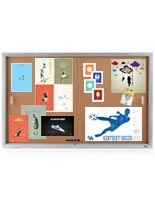 Enclosed bulletin boards, also known as display cases, include all the required mounting hardware. 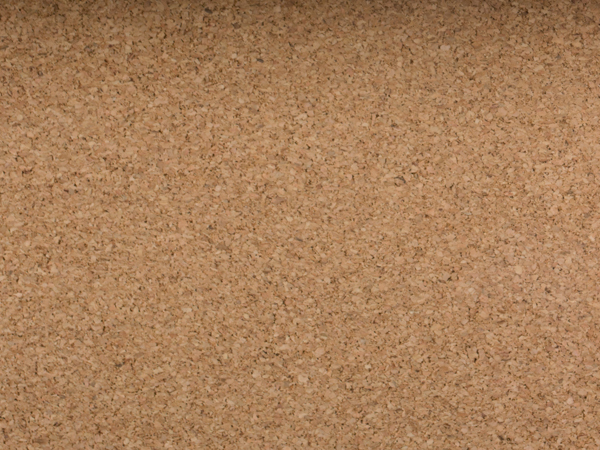 This cork wall fixture mounts directly to the wall. 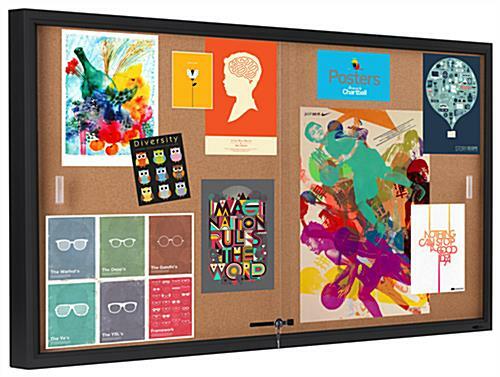 These corkboards, enclosed bulletin boards are a great addition to schools, classrooms, and businesses. 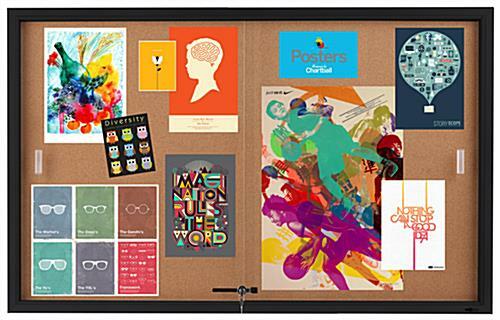 58.0" x 36.0" x 2.0"
Purchased for display in our Warehouse. It is very solid and looks fantastic. The shipping and packaging was excellent and exactly as described. The only very minor complaint that I have is the mounting hardware could be a little more reinforced. The brackets themselves are fine but the screws and drywall inserts needed to be upgraded. Overall though it’s a fantastic product. Hey thanks, Clint! We'll pass this insight along to our development team. Thanks for the great review and the feedback!